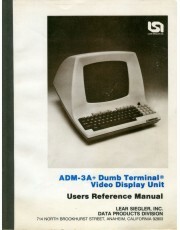 EarlyComputers: The ADM-3A+ Dumb Terminal Video Display Unit Users Reference Manual. Users reference manual for the ADM-3A+ Dumb Terminal Video Display Unit. 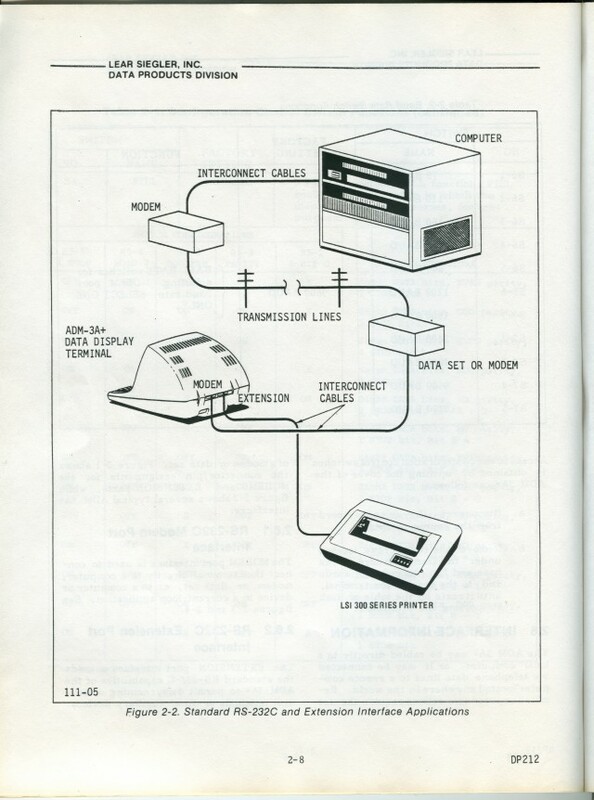 It's loaded with illustrated diagrams, schematics, and things of the sort. A reference sheet is also included featuring the standard switch settings.